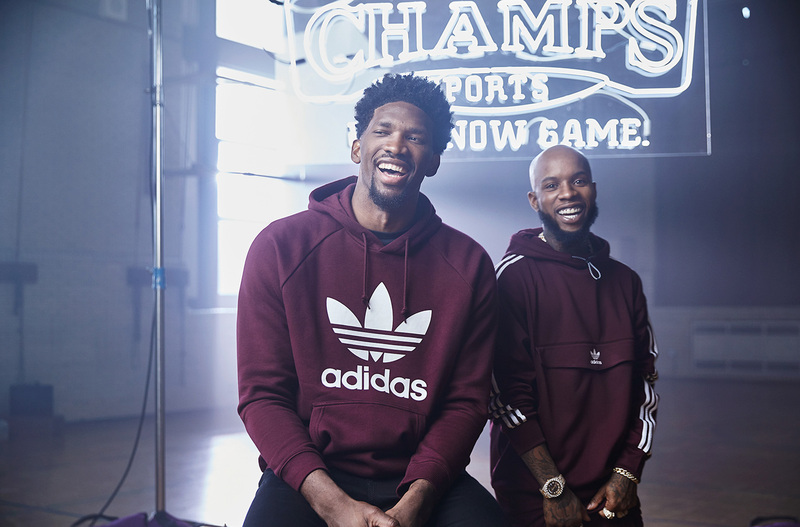 When influencer agency Complex, our friends at More Media and director Michael James Johnson chose rising basketball superstar Joel Embiid and the hot young rapper Tory Lanez as the focal points of a new hybrid campaign for Champs Sports and Adidas, Little Warrior got the call to execute. In collaboration with Complex and More Media, Little Warrior helped produce the spot, including scouting out the video’s iconic Philadelphia locations and putting together a team of local artisans and skilled crafts people capable of creating a blockbuster look on a Philly-style budget. Turns out, trusting “The Process” was a winning strategy.